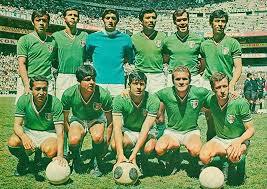 The ninth FIFA World CupTM was hosted by Mexico in 1970. This was the first World Cup tournament staged in North America, and the first held outside Europe and South America. Sixty eight (68) teams eventually entered the competition and fourteen finally qualified to join host nation Mexico; and defending champions England, in the sixteen-team final tournament. 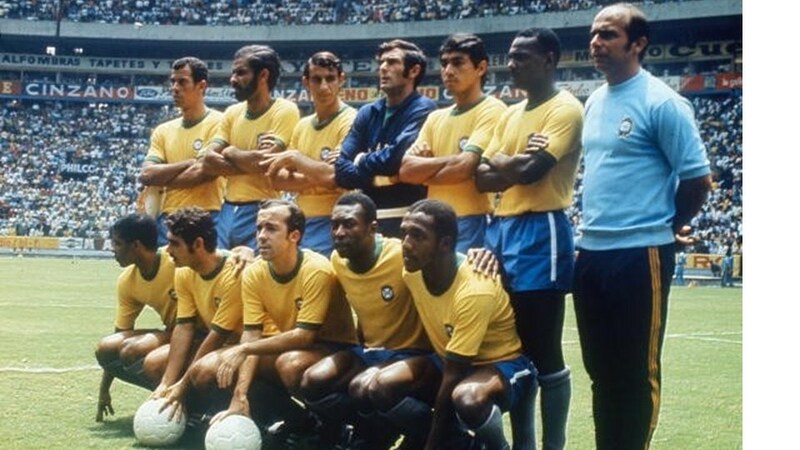 Eight places were available to teams from UEFA (Belgium, Bulgaria, Czechoslovakia, Italy, Romania, Soviet Union, Sweden and West Germany ), three for CONMEBOL (Brazil, Peru and Uruguay), one for CAF (Morocco), one for an AFC/OFC team (Israel), and one for CONCACAF (El Salvador). The sixteen teams were divided into four 'geographical groupings', which took into account not only the teams' strengths but also political considerations. Unlike previous FIFA World Cups TM , teams were not seeded. Each group was a round-robin of six games, where each team played one match against each of the other teams in the same group. Teams were awarded two points for a win, one point for a draw and none for a defeat. The teams finishing first and second in each group qualified for the quarter-finals, while the bottom two teams in each group were eliminated from the tournament. The qualifying eight teams entered a single-elimination style tournament. In the knockout stage should a match be level after 90 minutes, extra time of two periods (15 minutes each) would be played. If the final was still level after 120 minutes' play then the game would be replayed. The tournament was not without controversy both on and off the field. 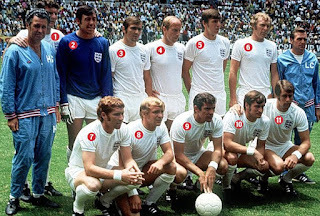 Claims of referee bribing were later dismissed by FIFA; but when Bobby Moore , Captain of England was accused of stealing a gold bracelet from a jeweller's shop in Columbia it became international headline news. The charges were later dropped but the English team did receive a largely hostile response during the competition. Ever confident of retaining the Jules Rimet Cup, the English Cup Squad recorded 'Back Home,' for their fans. Adidas had started making soccer balls in 1963 and made the first official FIFA World Cup TM ball in 1970. 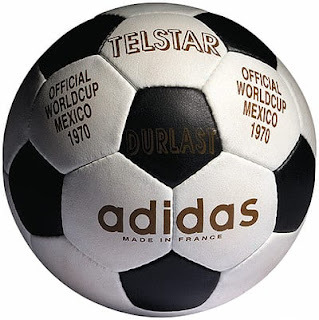 The Telstar was the first World Cup ball to use the now-familiar truncated icosahedron for its design, consisting of 12 black pentagonal and 20 white hexagonal panels. The black-and-white pattern, was used to aid visibility on black and white television broadcasts as colour television was still rare in many parts of the world. The black patches also gave goalkeepers an advantage when following a swerving ball. The ball was named after the Telstar communications satellite, which was roughly spherical and dotted with solar panels. 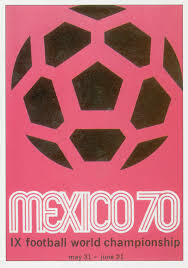 The image of the adidas Telstar Mexico was used in the official logo for the 1970 World Cup. Many of the games kicked off at noon for the benefit of European television schedules. This meant the games were played under blaze of the midday sun. 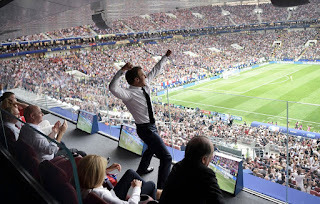 Despite concerns about altitude and high temperature, the tournament largely produced attacking football which created 95 goals (average 3 goals per game). The all-South America tie in Guadalajara was the highest-scoring of the four quarter-finals as Brazil recorded a 4–2 triumph over Peru. 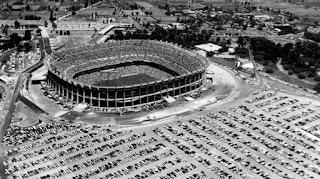 A rematch of the previous World Cup final between England and West Germany took place in León, in which the reigning champions entered a two-goal lead. Franz Beckenbauer halved the deficit when his low shot beat England's second choice goalkeeper Peter Bonetti. Uwe Seeler squeezed in a header to level at 2-2. 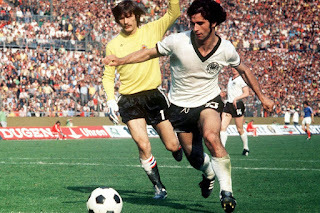 It was an extra-time goal from Gerd Müller that sealed the game and West Germany's first-ever competitive victory over England. All four of the semi-finalists were former world champions, Brazil beat Uruguay 3–1 and earn the right to contest their fourth World Cup Final. The all-European meeting between Italy and West Germany produced a match regarded by many as one of the greatest World Cup games of all time. Having led from the eighth minute through Roberto Boninsegna's strike, Italy were pegged back in injury time when sweeper Karl-Heinz Schnellinger scored his only international goal. Extra-time brought five more goals as the lead swung between the two sides until Gianni Rivera gave the Azzurri a decisive 4–3 lead. Gerd Müller (West Germany) was the top scorer of the competition with 10 goals. In order to protect players a new set of refereeing rules were introduced and the first time in a World Cup tournament substitutes were allowed. The honour fell to Anatoliy Puzach (USSR) to be the very the first substitute to be used. Another first in Mexico , was World Cup Finals, referees could issue yellow and red cards. 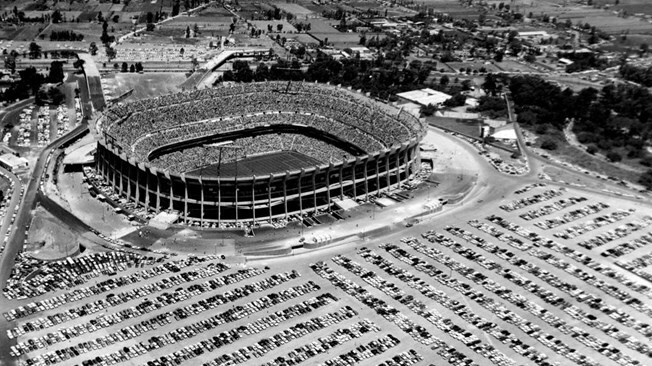 Brazil and Italy met in the final in front of 107,000 spectators at the Azteca Stadium, Mexico City. New satellite communications ensured the 1970 Finals attracted a new record television audience as games were broadcast live around the world and, for the first time, in colour. 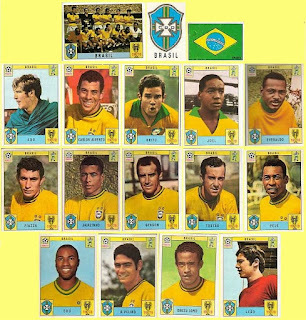 Brazil beat Italy, 4–1 and win gave them their third World Cup title, which allowed Brazil to permanently keep the Jules Rimet Trophy. The victorious team was led by Carlos Alberto and featured players such as Pelé, Gérson, Jairzinho, Rivellino, and Tostão, and is often cited as the greatest-ever World Cup team. They achieved a perfect record of wins in all six games in the finals, as well as winning all their qualifying fixtures. Coach Mário Zagallo became the first man to win the World Cup as both a player (1958, 1962) and coach. 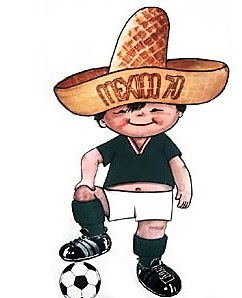 The official mascot of the 1970 FIFA World Cup TM tournament was Juanito (boy), and as in 1966, several countries issued commemorative stamps. 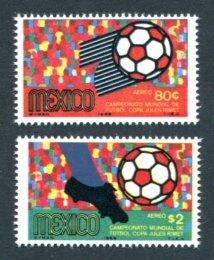 Mexico issued several stamps to promote the 9th World Soccer Championships for the Jules Rimet Cup. 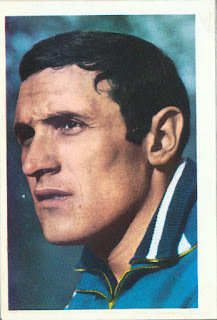 An Italian printing company (Panini) had started selling figurine cards featuring Italian players and teams which had become very popular. 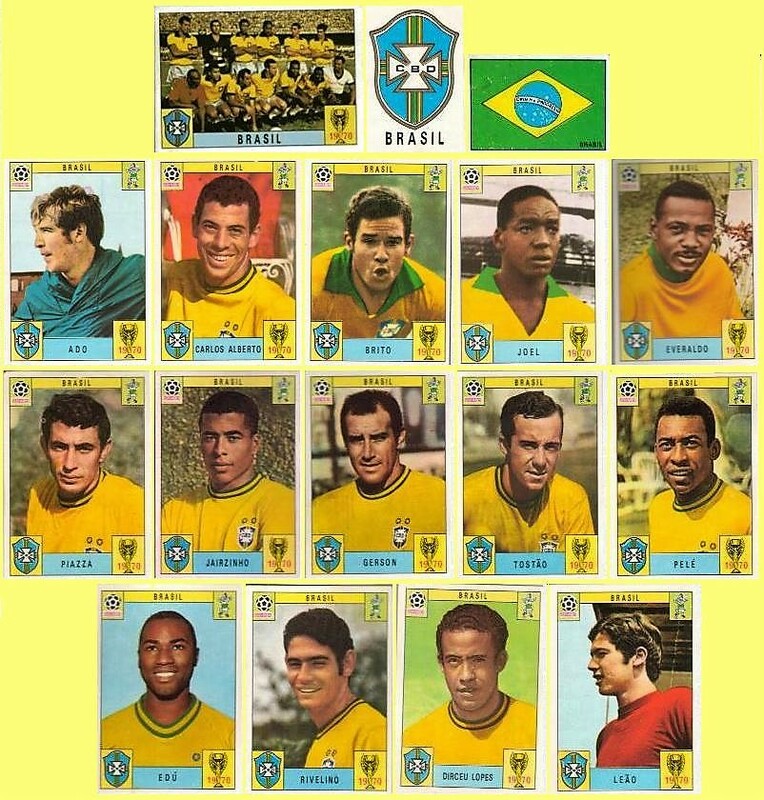 To correspond with the 1970 FIFA World Cup TM , they began selling a sticker album using multilingual captions which was available outside Italy. The Panini figurines now had self-adhesive backing which made displaying them in albums so much easier. The format took off and now the early collections have become highly valuable collectors’ items. Rival printing companies soon released their own stickers.